The small business loan is a valuable financial tool that can be used by new and existing businesses to fund a variety of different operations and purchases. If you are planning a start-up, or you currently need revenue to pay for expenses or marketing costs, it is important to learn about small business loans. Read on to find out how you can qualify got one, what you can use the funds for, and what lenders and institutions offer these specialized commercial loans to small business owners. 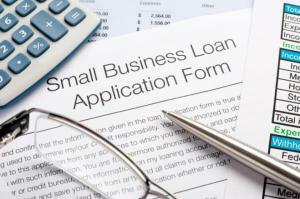 Who Can Qualify for a Small Business Loan? What Can Loan Disbursements Be Used For? What Lenders Offer Small Business Loans? You will need to review the specific restrictions for the use of loan proceeds before you apply. You will also need to compare the loan products and programs that are in place for small business owners. There are a long list of private lenders that are part of the Small Business Association. You can locate these lenders by visiting the search link and selecting your state. Be sure to compare rates and terms before applying to a specific SBA lender. It is very important to be prepared when you are filling out a loan application. You will need to know about personal credit score and business credit history to ensure that everything is accurate. You will also need proof of industry experience, resumes, income tax returns, financial statements, bank statements, legal documents, collateral, and a detailed business plan to complete your application. Once you do, you can apply for your small business loan and start using the proceeds according to your plan.